Engineered Hardwood Flooring has dominated the market over the last few years and remains on an upward curve in popularity as hardwood flooring designs evolve. Grey colors in particular have truly revolutionized the American home in an elegant, new way. 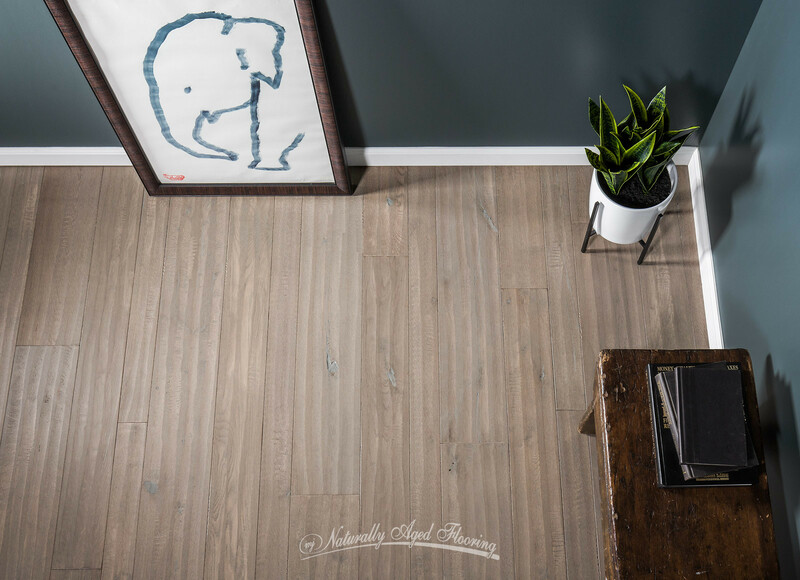 The modern appearance and low gloss sheen of Naturally Aged Flooring’s Mammoth allows for complete control over what colors you choose for your living spaces. 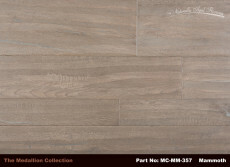 This floor’s light to medium color range draws attention to its generally soft appearance without losing sight of the distinct hand-scraped and wire-brushed finishing. Distressing like this on a grey engineered hardwood floor such as Mammoth, allows for a broad array of interior lighting and design choices for your home. With the success of Naturally Aged Flooring’s random width hickory platform, consumers continued asking for more diversity in our oak lines, so we did just that. 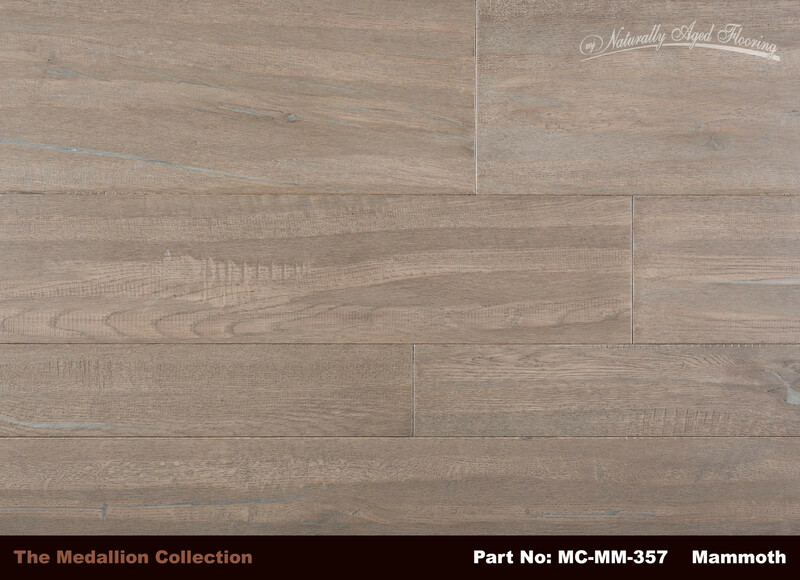 As one of the Medallion Collection’s first random width oaks, Mammoth sports a hand-scraped and wire-brushed finish on a 3 ½” x 5 ½” x 7 ½” platform. When the flooring is kept under proper conditions, in accordance with our care and maintenance procedures, the provided UV lacquer finish allows for a minimal maintenance environment that eases the stress of hardwood flooring upkeep. Installation is also a breeze; These floors can be floated, nailed down or glued, which allows your contractor the freedom of choosing the best application for your home. 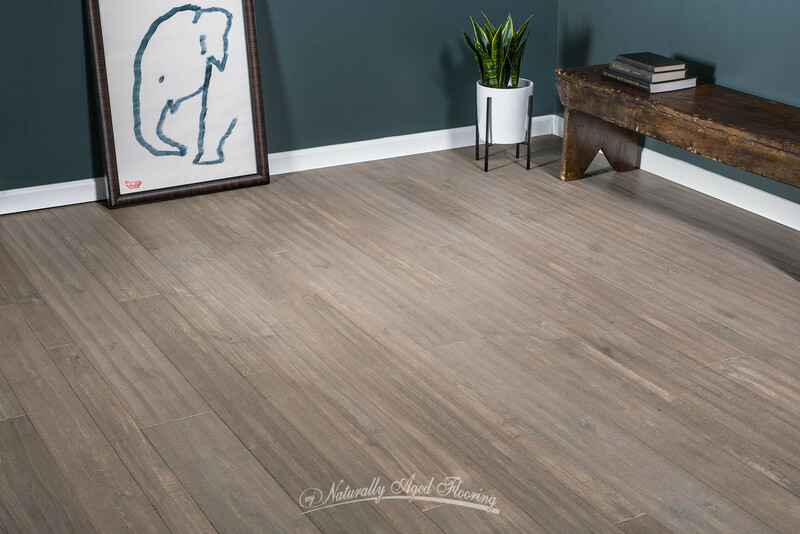 As photographs of Mammoth clearly portray, the delightful medium tones of this hand-scraped and wire-brushed oak come to life without overpowering the distinctive lighter tones. A clean finish, minimal knots, and light grey fill are very subtle, and the exquisite neutral grey tones are delightfully presented. 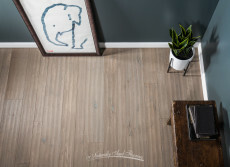 When this amount of thought goes into the construction of a flooring product, it comes as no surprise that Mammoth is a driving force behind the continued growth of the well-respected Naturally Aged Flooring brand.